The source of the photo remains unknown. A few hours ago, a photo of Beyonce and Jay-Z's twins randomly appeared on the internet. Neither of the two posted the photo and Yoncé's mother Tina was also not the source of the leak. 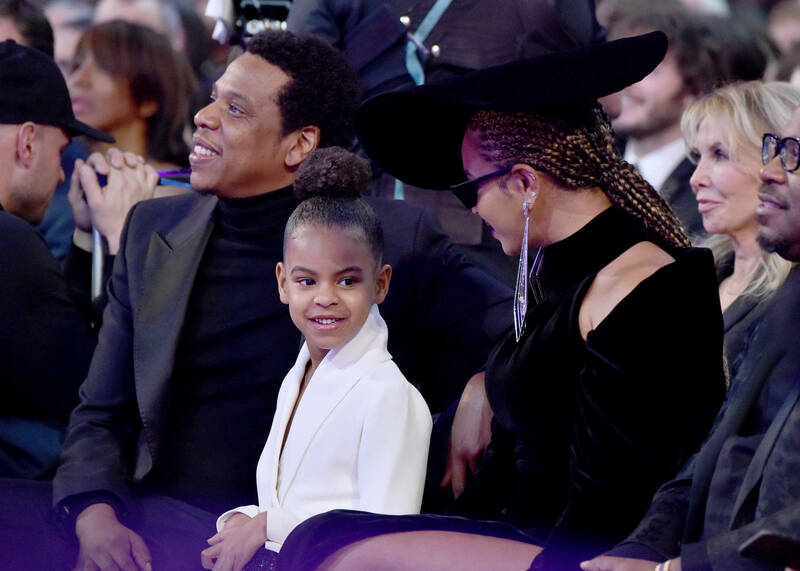 It remains unknown exactly how this image found its way online, especially taking into account how secretive the couple has been with the twins, but an adorable new picture of Blue Ivy Carter and her younger siblings Rumi and Sir is circulating the web right now. The black and white photo has been posted by several outlets so far and it appears to have been taken from inside of the Carters' home. The edge of a picture frame is seen on the side so there is a possibility that somebody quickly snapped a photo of it while walking through the Carter residence. Blue Ivy is seen sitting in the grass with her baby sister and brother in her arms. We rarely see images of Rumi and Sir so for this to find its way online is a pretty big deal. Members of the Beyhive are freaking out, gushing over how cute the kids have gotten since the last time we saw them. It's also worth noting that despite his extremely young age, Sir has already perfected his Jay-Z scowl. Take a look at the photo below to see a recent snap of all of the Carter kids. Whoever leaked this is probably getting an ear-full on the phone with Beyonce's assistant right now.